It is Takeru Ohyama’s first day of his high school life, and his childhood friend Haruko Amaya has come pick him up early in the morning. Takeru is a year younger, and he has his hormones really high and about to burst out. 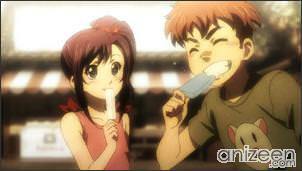 Takeru tells Haruko that she has become a really cute girl, and Haruko smiles, remembering how silly he can be. 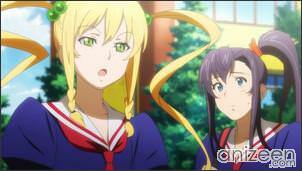 On their way to school, Haruko tells Takeru that he has enrolled in a very peculiar kind of high school. 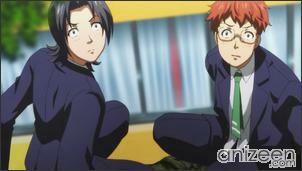 It has many differences with regular schools, and Haruko seems a little worried about his friend. In the end Takeru is more than happy, after all, this is the first year this high school is coeducation. Basically, Takeru knows there will be a lot more girls than guys, and he wants to live a wonderful high school life surrounded by cute girls. Prety soon, Takeru will find why this school is different, as he finds himself in the middle of a magic battle between students. 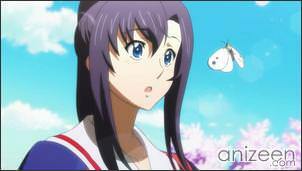 Suddenly, Takeru sees a girl looking upside down from a tree, she is Kodama Himegami, who is entertained by the fight. 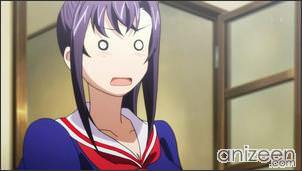 Then she realizes that Takeru is watching her uderwear and falls from the tree. Accidentaly, Kodama kisses Takeru and something strange happens. Somehow, as Takeru runs away, Kodama understands that she has found the enemy she has been looking for. Now, Takeru understands that this school has very strange rules; they have to dominate an ‘Element’ and fight using certain powers known as ‘Maken’. Takeru is quickly confused, and just to add, he has to fight right away with Kodama. 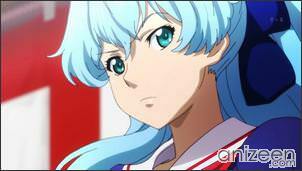 Kodama is serious, and she really wants to hurt Takeru, but before she does it, someone else appears and saves him. Inaho Kushiya is able to contain Kodama’s power and save Takeru, right after, she says that she is Takeru’s fiancee and hugs Takeru. Meanwhile, Haruko is confused and angry with Takeru. She visits him and plans to have a long talk with him, but Haruko finds Inaho in the room and both say that the school principal has agreed for them to live together. But not only that, Kodama opens a door and states that she will also live with Takeru, after all, they have something to settle. Haruko seems to run in anger, but she returns to say that she will also live at Takeru’s place, after all, she is the landlord and has to verify there are not strange activities going on at the student dorms. Will Takeru find a Maken acceptable for him? What will happen with him, in a school where students get into duels that showcase their magic and combat power? 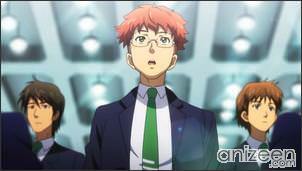 Takeru Ohyama is a high school student who hates his father believing him to be the reason his mother died. He wields a power known as “blood pointer” which allows him to drain “element” from the people around him through his mouth. 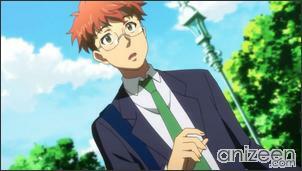 He is the childhood friend of Haruko Amaya and, as later revealed, Inaho Kushiya, though he does not remember it. 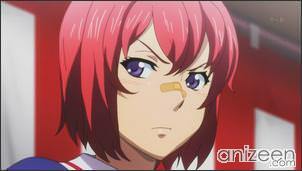 Haruko Amaya is called the strongest maiden in Tenbi. She is the childhood friend of Takeru Ohyama and has romantic feelings for him often not caring when her body is revealed in front of him. She shares a room with Takeru Ohyama, Kodama Himegami and Inaho Kushiya. Haruko is very jealous of the other girls around Takeru, who then suffers from her violent outbursts as a result. She wields one of the eight legendary maken, “Murakumo” or “Gathering Clouds”. Kodama Himegami wields shikigami that follow her around and call her ojou-sama. She needs element to survive. But she has said to herself that she can’t leave the tenbi area because the element doesn’t flow as fully elsewhere. 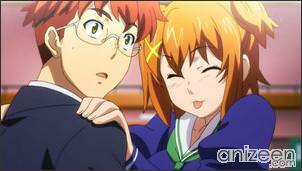 She states that Takeru Ohyama is her mortal enemy after she saw the mark on his chest. She has a weakness for cute things, specifically rare and inexpensive stuff animal toys. 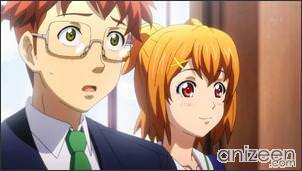 Maken-ki! (マケン姫っ!) is a Japanese manga series by Takeda Hiromitsu. It is currently serialized in Dragon Age Pure, published by Fujimi Shobo. An anime adaptation was announced on Monthly Dragon Age’s official website in December 2010. 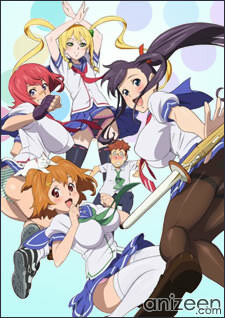 The anime began its broadcast on October 5, 2011.